SAVE BIG ON FLAVOR & FUN ALL ACROSS THE CITY! Over $1,000 in savings at local Stockton businesses. 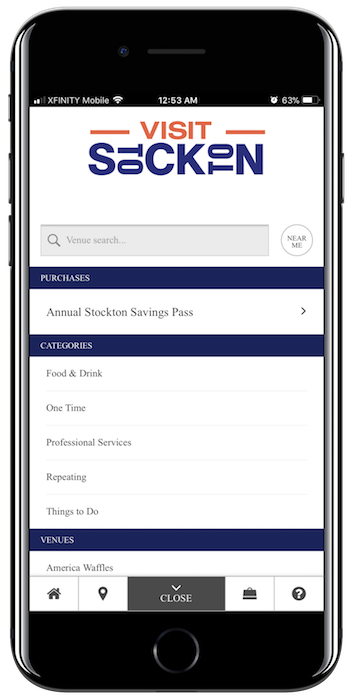 With over $1,000 worth of savings at local Stockton businesses combined with one-time and repeating offers, you can save all year long with the Stockton Savings Pass. 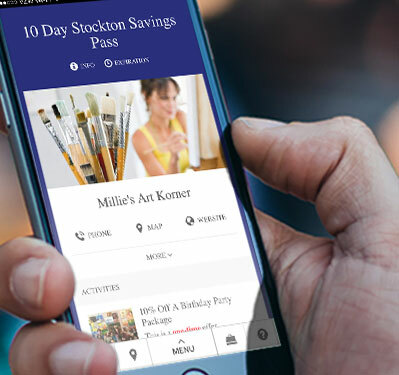 The Stockton Savings Pass is a curated collection of great deals and discounts for the best of Stockton businesses. Both one-time and repeating offers allow you to save everyday! 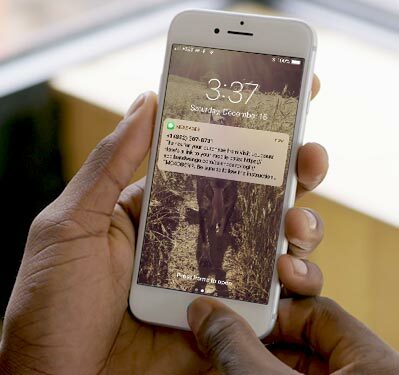 Your pass will be instantly delivered to your phone via text and email and is ready to use immediately! There are no apps to download. Your pass can be saved to your phone's home screen for easy one-tap access. When visiting a business simply present your phone to redeem your discount. It's that easy! AVE on the Mile is Stockton's Premier Bar & Bistro located at the Heart of the Miracle Mile. AVE is a chic, upscale lounge, setting the new tradition in nightlife and evening entertainment! A downtown Stockton cafe featuring a a fresh, local, and seasonal menu. Our Mission: To brew craft beer that will be enjoyed in the City of Stockton and beyond, to build community in downtown Stockton, and put Stockton on the craft brewery map of Northern California. A tradition for over 50 years, Chuck’s Hamburgers serves good old-fashioned breakfast & Lunch favorites, and now pizza in Stockton, CA! We specialize in homemade ice cream with flavors such as Tequila, Mango, Strawberry, and much more! "El Gringo" or a "Sope"
We will keep you awake. 222 N. El Dorado St.
We are a fast casual restaurant right on the Historic Miracle Mile. We have 46 cold beers on draft with 6 wines on tap from E2 Family Winery. Come enjoy a meat plate or any two handed sandwiches, you’ll very soon be in love with our California Style BBQ. An Irish - American Pub serving fresh scratch made meals. 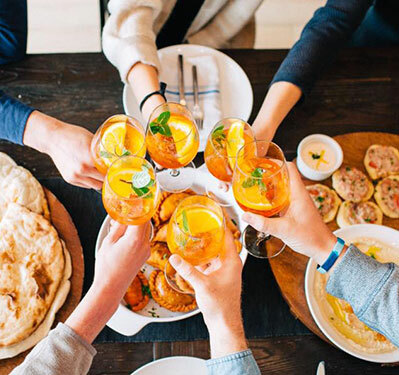 Midgley’s Public House promises to be an exciting, culinary experience serving a true mix of California cuisine, paired with spirits and fine wine. A boutique wine & craft beer bar, restaurant + wine shop - offering an exceptional selection of distinctive & eclectic wine from around the world. Our luscious cakes are made with the finest, premium ingredients, including fresh eggs, real butter and cream cheese. Each bite slowly melts in your mouth, calling you back to a day when life was a little sweeter and time passed more slowly. We are open for our lunch buffet Mon-Fri from 11am-2pm and we post our menu on Facebook daily. Rita's of Stockton is excited to offer you up a large dose of "Ice, Custard, Happiness"! Check out our great treats like the Gelati, Misto & Blendini! Farm fresh juices, hand-crafted smoothies, and healthy eats made with natural ingredients for premium nutrition. Healthy Never Tasted This Good! Squeeze Burger & Brew is a celebrated American burger- on the mouths and in the ears of burger lovers all across the country! Stockton's biggest tap house with 28 ever rotating handles of local craft beer & the official High Water Brewing tasting room with 7 dedicated handles. Enjoy modern Thai cuisine at Thai Thai! Whether it's lunch or dinner, Thai Thai has you covered. This hometown favorite has been serving fresh, tasty food and delicious ice cream to the Stockton Community for 26 years. Come find out why! Buy any two regular meals and get a kids meal FREE. Yum Yum offers all the snacks you need during your magical day at Pixie Woods Amusement Park. Developing the skills to dance comfortably inside, or outside, the dance studio is one of the primary goals of Arthur Murray. We are passionate about teaching kids through play. With over 40 interactive exhibits, kids can explore their imagination and, more importantly, have fun! Visit our museum today! The Haggin Museum is an art and history museum in Stockton, CA serving the community for 85 years. Some of the highlights on display include paintings by American and European artists, such as Jean Béraud, Albert Bierstadt, Rosa Bonheur, William Bouguereau, Jean-Léon Gérôme, George Inness and Pierre-Auguste Renoir. The history galleries feature a 12.5 ton Holt Caterpillar tractor, as well as other accomplishments of the area's residents. No visit to Stockton is complete without stopping by the Haggin! Sign-up for a 1-year $100 Supporting Level Membership to the Haggin and get a second year FREE (for new members only). In Season is a beautiful market and nursery offering organic and naturally grown produce, artisan foods, a plant nursery, and gift shop. Also a coffee bar and snacks! Yogi Bear’s Jellystone Park™ at Tower Park offers a breathtaking camping experience that the whole family will enjoy. Here at Millies Art Korner we teach Fine Art Fundamentals and Beyond utilizing All Mediums in an Amazing and Supportive Artists Oasis. Single sheet 200'x85' NHL size ice surface. Party room, two locker rooms. At Premier Furniture Gallery customer satisfaction is our number one priority. Our 100,000 sq. ft. showroom offers top of the line furniture. The Museum reveals the fascinating history of the region, from the Yokuts and Miwok through Captain Charles Weber (founder of Stockton and first farmer in the area) and the development of modern agriculture. Shades of Color Paint offers a uniquie art studio experience. Shine Yoga + Barre is Stockton’s first yoga + barre studio! We offer over 30 classes at our one location. We offer heated and non-heated classes. Jump into Sky Zone - the world's first all-walled playing court! "Whether You Kick, Skate, Or Spike We Have The Floor For You." The Pacific Tigers represent the University of the Pacific in Stockton, California in intercollegiate athletics. The Tigers compete in NCAA Division I, and are currently in their second stint as members of the West Coast Conference (WCC). The University Plaza Waterfront Hotel is a boutique resort style hotel located in the heart of Downtown Stockton. Lasertag, Arcade, Snackbar, 5 beers on tap, Jumpers, Birthday parties, Corporate Events, Group events, Sports Parties, Field Trips & Fundraisers. At ASAP Fitness we strive each and every day to make our clients better both physically and mentally. We push and support each other to break down walls, and achieve goals that we never thought possible. We are passionate about helping those who want to succeed. If you are like-minded and committed; we will be with you every step of the way along with the rest of the ASAP community. We offer dry cleaning, wash and fold, cold storage, laundry, and free pick up and drop off (inquire about availability for your location). We can also do minor alterations (button sewing and pant tailoring). Same day service is available! We are a full service photography studio specializing in the highest quality photography for families and businesses. Get a $50 Gift Card for only $40! Stockton chiropractor, Dr. Brian Crawford of Crawford Chiropractic has been helping those in the Stockton suburbs since 1985. He listens. He cares. He can help. Call now! Our mission at Midtown Optometry is to change lives through vision. We provide Vision Therapy, Sports Vision Training, Specialty Contact Lenses, Pediatric Eye Exams, Diabetic/High Blood Pressure/Glaucoma Retinal Evaluations, and comprehensive eye health exams for the entire family. Birthday Parties, Reunions, Baby Showers, Anniversary Parties, Celebration of Life Gatherings, Fundraiser Dinners, Retirement Parties, Quincenera, Sweet 16 ... any event you may have, we want to cater! We offer hors d'oeuvres, buffets and personalized, plated menu selections. Our talented executive chef and professional service staff pride themselves on providing delicious food and outstanding service to make your event as memorable as possible. Vouchers are redeemable for certain goods, services or experiences offered by, or facilitated through, the Merchant identified on the Voucher. The Merchant is the issuer of the Voucher and is solely responsible for all matters pertaining to the redemption and use of the Voucher. Furthermore, the Merchant is fully and solely responsible for the care and quality of all goods and services it provides to you and for any and all injuries, illnesses, damages, claims, liabilities and costs (“Liabilities”) it may cause you to suffer, directly or indirectly, in full or in part, whether related to the use or redemption of a Voucher or not. You waive and release Bandwango and Visit Stockton, including their subsidiaries, affiliates, partners, officers, directors, employees, and agents, (collectively, the “Released Parties”) from any Liabilities arising from, related to, or sustained in connection with any act or omission of a Merchant, its employees, agents, contractors, and invitees, in connection with your use of a Voucher or the goods, services or experiences a Merchant provides in connection with the Voucher. Services performed by the Released Parties are provided “AS IS” without warranties of any kind, express or implied, including any implied warranty of merchantability or fitness for a particular purpose. Vouchers are not redeemable for cash. Unauthorized or unlawful reproduction, resale, modification or trade of Vouchers is prohibited. Pricing relating to certain Merchant offerings and products on the site may change at any time in at the discretion of Bandwango and Visit Stockton, without notice.